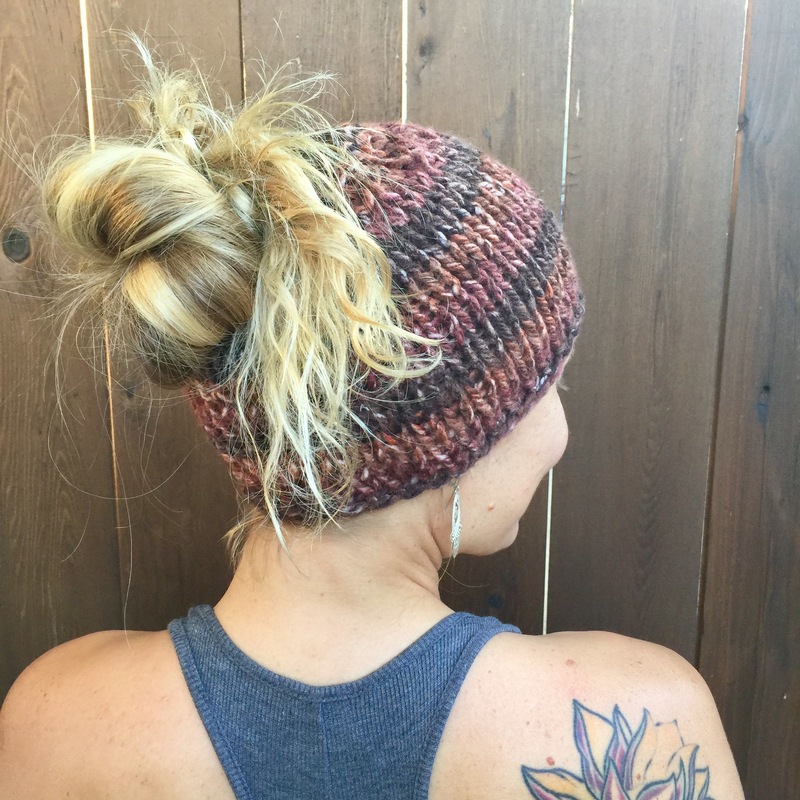 The Chunky Knit Messy Bun Hat is a variation of the Simple Chunky Knit Hat. This super easy knitting pattern is written for knitting on straight needles (or circular) and then sewn with a seam up the back. 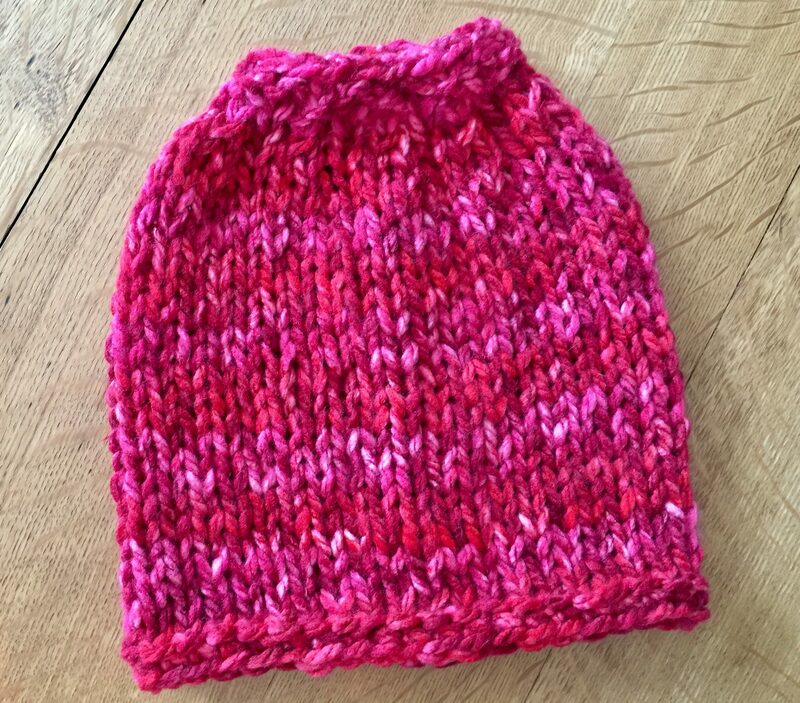 You can also knit on double pointed needles to avoid the seam sewing or use the magic loop method. 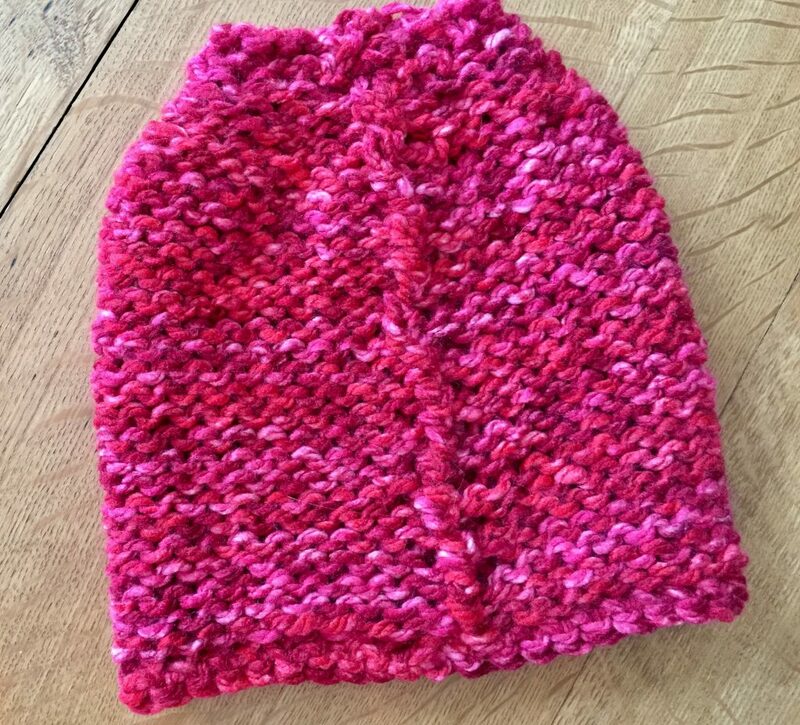 You would just knit every row rather than knit and purl. The border is a single crocheted border added after the piece has been sewn together. Yep! I added a YouTube video as well so if you want to follow along and see how I do each step you are welcome too. Please like, comment and share! 7 inches from cast on to where the crown starts. Yarn: 1 skein Deborah Norville Chunky Serenity (Shown here in Choco and in Berry Burst) available at Joann.com for less than $5 each. There are a variety of colors to choose from and the different shades make the seam disappear quite well. 3.5 oz 109 yards. Measurements: Finished piece laid flat measures 9″ wide by 8″ high. Rows 5-22: Repeat rows 3 & 4 until piece measures 7 inches (17.5cm) from the beginning or where you want the crown to start. 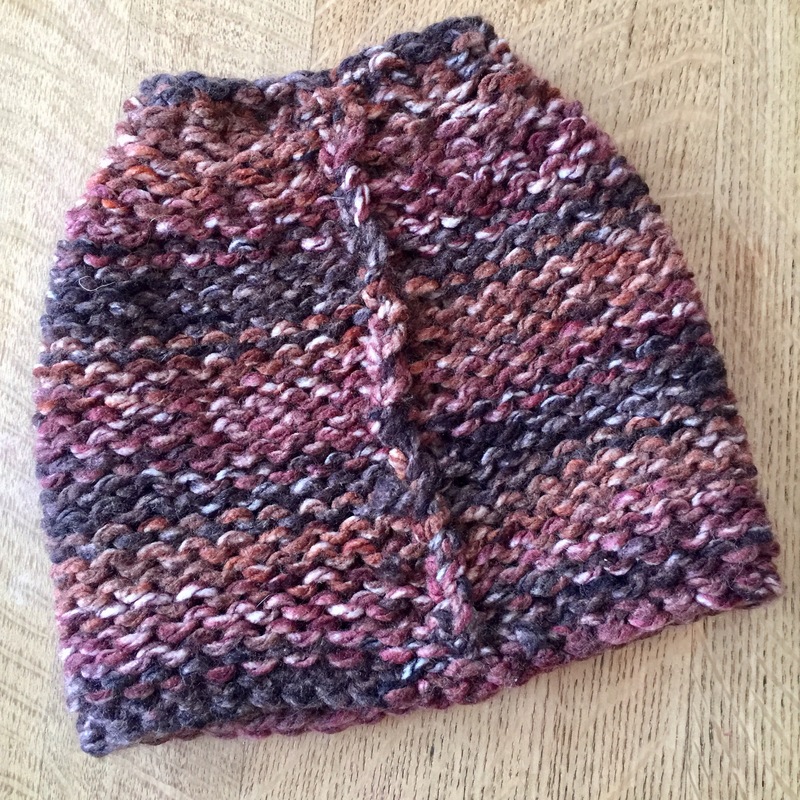 With right side (knit side) facing, pick up back loop of each stitch and single crochet loosely once around. 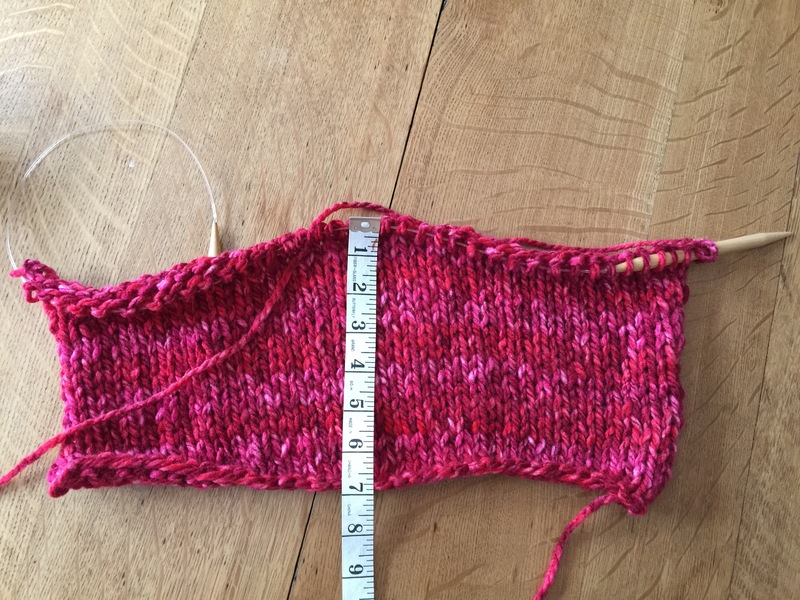 Join with a slip stitch to the first single chain. 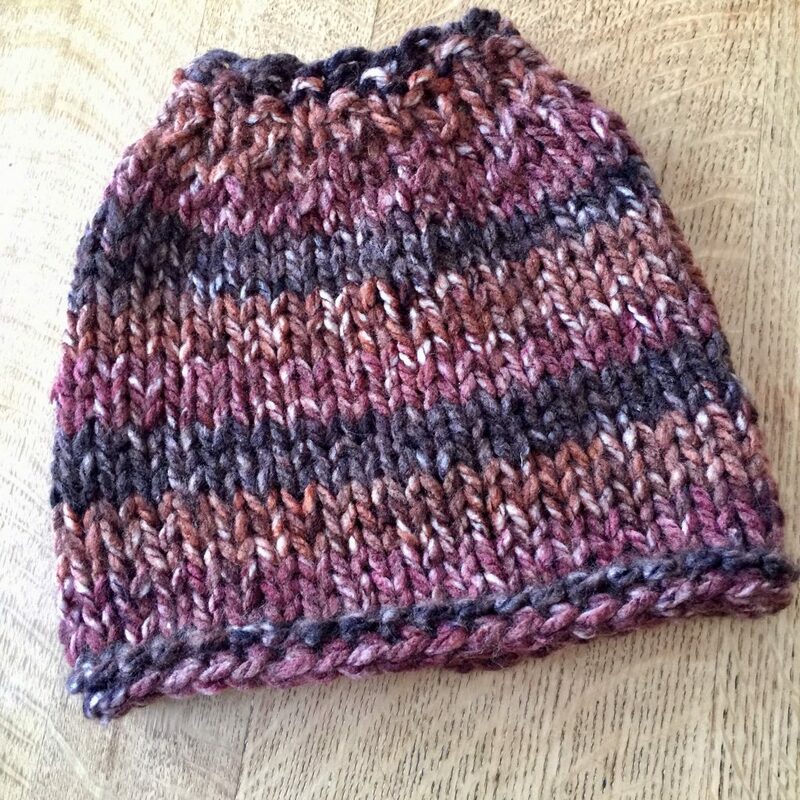 Cut yarn and weave in ends. Very nice Marni and Loren – looks perfect! 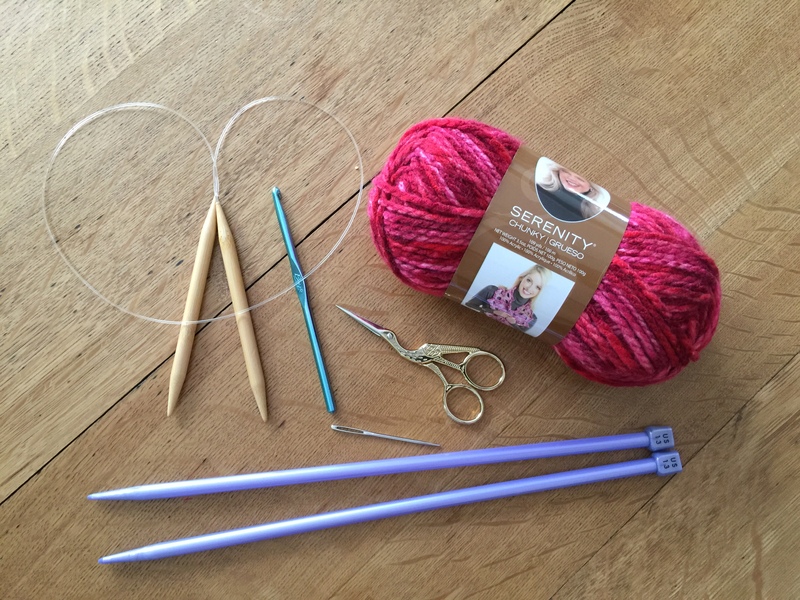 Hi Sarah, You would need the shortest circular needles you can find – or else choose a set of double pointed needles, which is probably what I would do. With 5 double pointed needles you could divide the stitches equally on 4 and then use the 5th needle to work in the round. Make sense? Hi Marni, Thanks for your reply! I’ll have a go on the circular as that’s what I have, if I can’t do it I’ll invest in some double pointed needles. happy New Year!